I have a friend from Romania who tells me that many of the young people there are exploring their relatively new freedom by eagerly discovering the musical styles from the west that they have not had access to for decades. From dance to rock n' roll, they're enjoying their ability to express themselves at last. Romanian band Stone Fiction has chosen to express themselves in the style of 70's heavy rock, and they nail the sound down with uncanny precision on this three song EP. The first tune, Morning Grief, starts out slow, with some moody finger picking and nice atmospheric guitar work, builds with a strong and mournful melody in the vocals, and ends with some heavy riffing and a lengthy guitar solo in true 70's fashion. The singer has some intriguing inflections in his style that give the music a bit of unique style. My favourite of the three tracks, Supernatural Ride, is a highflying Edgar Winter-esque number that takes a break in the middle for an atmospheric lurch through slumberland, before returning to its romping main theme at the end. Intriguing structure. Real, with it's cat-like strut, is riffing stoner rock at it's coolest, man. The band's vocalist amusingly sings about all the things he could have been, but concludes that he's real. I enjoyed this little sample, and hope the band comes out with a full-length soon. For more information you can email Stone Fiction at: stonerro@yahoo.com. 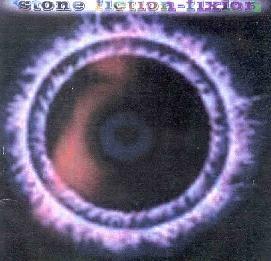 Hear the songs at the Stone Fiction Mp3.com web site at: http://www.mp3.com/stone_fiction. Contact via snail mail c/o Stone Fiction; Popovici Sergiu-Mihai; Str. Arges, NR. 11; Timisoara 1900; Romania.